I think man dies because he no longer has access to life. What does that mean? I glad you asked … read on. There is a story in the book of Genesis which tells us that God planted a garden in the east, in Eden, and made all kinds of trees grow out of the ground … trees that were pleasing to the eye and good for food. In the middle of this garden was the tree of life and the tree of the knowledge of good and evil. God said, you may eat of every tree except the tree of the knowledge of good and evil. Naturally, a lot of emphasis is placed on Adam sinning and eating the fruit from the tree of the knowledge of good and evil. However, below is an often overlooked statement that is extremely important. Adam could eat from the tree of life each day and by virtue of being able to do this everyday would have had eternal life. When he sinned, the one thing God did was to deny him access to continued life and … that is why we die over time. He could no longer tap into the source God created to sustain his body and its life here on earth. The Bible says that God drove Adam and Eve out of the garden and ‘protected’ the tree from them. It goes without saying, that without sin, Adam (and man) would have lived forever, because all he had to do was to eat daily from the Tree of Life. God hates sin and did not want man to be an eternal creature in this sinful state. He therefore took the opportunity to be eternal away from man, until He provided a way for man to get out of his sin. The new way to life is Jesus Christ. Jesus is the Son of God and has eternal life … just like God. He came to earth to defeat sin and death and through that, we can now live (and not ‘die’) through Him. – Through Adam, we had sinned and could not find our way to God. – Sins penalty was death and our sacrifices could not reverse this. – God provided a way to Himself and let Christ die on the cross for our sins. – Through His death, we were able to exchange our sins (and death) for His life. This eternal life is spiritual (not physical) and can only be received by BELIEVING and accepting Jesus as your Lord and Saviour. Not accepting Christ and changing your eternal ‘status’ means you will be spiritually dead, and not connected to God … for eternity. 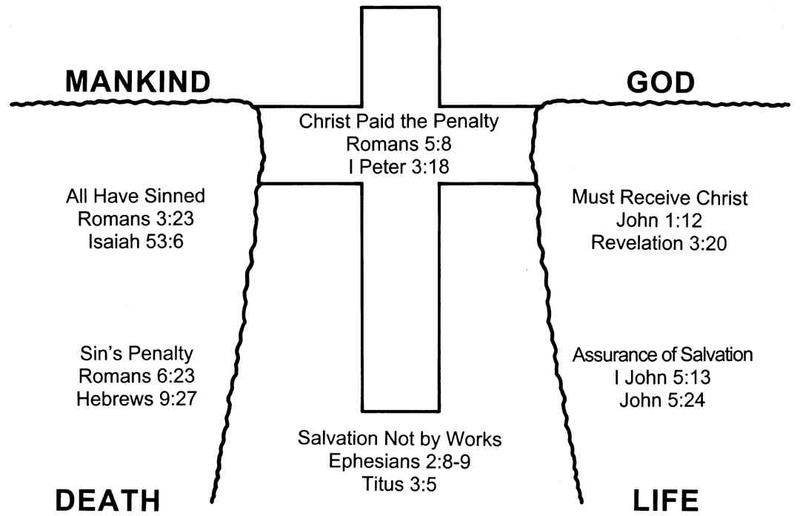 Today, if you don’t know or believe in Him, ask Jesus to draw you to Him … we call it Salvation i.e. saving you from eternal death by being ‘born again’ into a new life. Jesus is the way, the truth and everlasting life and the only way to get to God. If you believe and do know him, remember … you are truly blessed indeed. Praise His Holy Name, which is above all names.